Made for use on RV rubber weather seals. Quick and easy to apply. Stays put – no drips or runs! Anti-static – won’t collect dirt and dust. 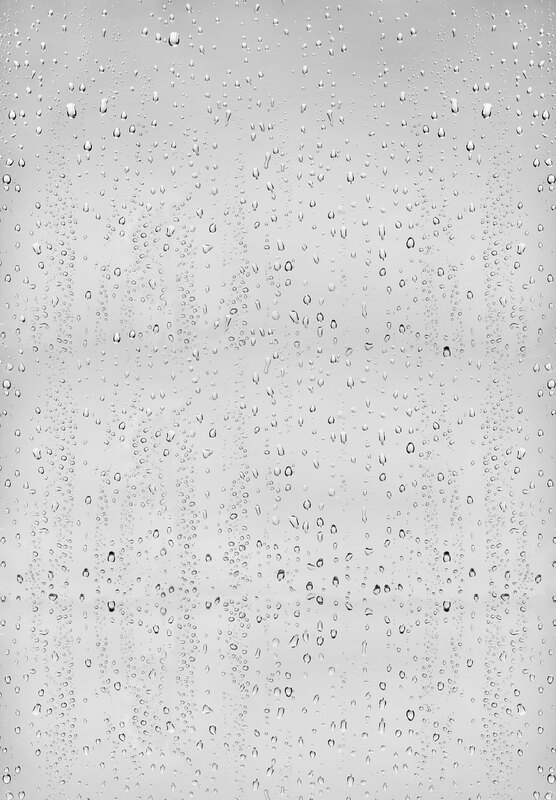 Water-repellant, it minimizes moisture intrusion and extends seal life. The only treatment you’ll need! Daily exposure to the elements, dirt, road grime, air pollutants and the oxidizing effect of the sun’s ultra-violet rays can deteriorate your rubber weather seals prematurely. Extend the useful life of all your rubber seals with Slide-Out Rubber Seal Treatment. It produces an anti-static, water repellent, protective film that aids in guarding against premature deterioration while producing a dry, smooth surface that reduces excessive friction and wear on slide-out seals. 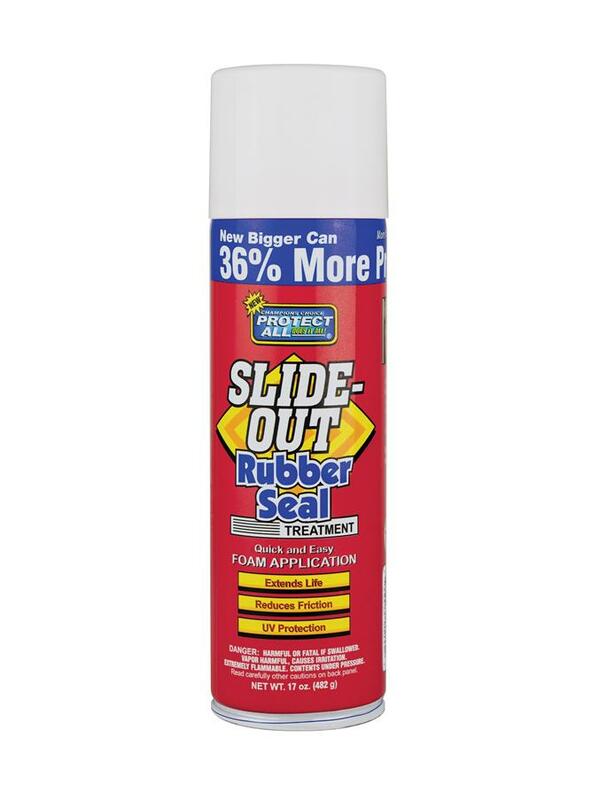 Slide-Out Rubber Seal Treatment is non-oily and conditions seals to make future cleaning easier and quicker. The rich foam application clings to the surface, eliminating over spray and waste, and is compatible with all rubber seals, as well as their adjacent surfaces such as fiberglass, aluminum and vinyl. A bead of foam stays where you spray! No runs, drips or mess! Clean rubber seal thoroughly before applying. (Tip: To clean really dirty and chalky rubber seals without rinsing or mess, use Protect All Rubber Roof Cleaner.) Spray foam Treatment onto a cloth, or hold the can’s spray tip as close as possible (within 1 inch) of the rubber seal. As you spray, move can quickly, applying a 3-4 inch bead of foam. With a cloth, spread Treatment along the surface to achieve an even, thorough coat. Allow to Air Dry. Do not wipe off with excessive rubbing or buffing. Apply every 2 to 3 months to maximize protection.